If you've tried this sauce before you know what it is! Smokey and freaking hot! Very Hot and Very Tasty! 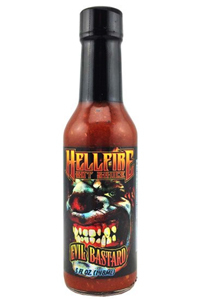 If you've visited us at the hot sauce shows and festivals you know it as our "secret sauce"! It good ,it's hot and it's all natural! Enjoy!!!! Infused with Jack Daniels Fire Whisky! Ingredients: Hot Chile Pepper Blend (jolokia peppers, scorpion peppers, and red 7-pot peppers), Water, Apple Cider Vinegar, Distilled Vinegar, Garlic, Cinnamon Whiskey, Sun-dried tomatoes, Smoked Ghost Chile Powder, Red Thai Curry Powder, Black Pepper, Cumin.